Family socioeconomic position (SEP) is known to be associated with adolescent mental health. Whether the relationship is different for different mental health dimensions is unknown. Using a cross-sectional design, we investigated the differential effects of family SEP on multiple mental health dimensions in preadolescents (N = 2230, baseline age 10–12, 49% boys) using reports from multiple informants (parent, self, and teachers). A score equal to or higher than the 85th percentile (averaged across informants) defined mental health problems. SEP was inversely associated with all dimensions. Compared to high SEP, the odds ratios (OR) for externalizing problems were 3.88 (95% confidence interval (CI): 2.56, 5.90) and 2.05 (CI: 1.34, 3.14) for low and intermediate SEP, respectively. For internalizing problems, they were 1.86 (CI: 1.28, 2.70) and 1.37 (CI: 0.94, 2.00), respectively. When adjusted for externalizing problems, SEP effects on internalizing problems materially attenuated (OR: 1.47, CI: 0.78, 1.68 and OR: 1.34, CI: 0.91, 1.96) while the converse was less pronounced (OR: 3.39, CI: 2.24, 5.15) and (OR: 1.91, CI: 1.25, 2.94). 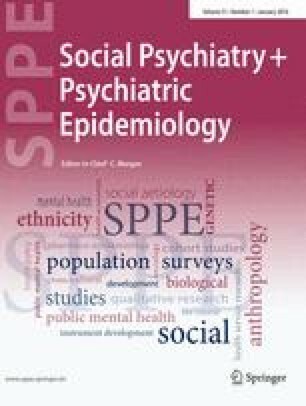 In early adolescence, the risk of mental health problems increases with decreasing SEP, particularly for externalizing problems. Further, the SEP-internalizing problems relationship is partly explained by shared aspects with externalizing problems. This research is part of the TRacking Adolescents’ Individual Lives Survey (TRAILS). Participating centers of TRAILS include various departments of the University Medical Center and University of Groningen, the Erasmus University Medical Center Rotterdam, the University of Utrecht, the Radboud Medical Center Nijmegen, and the Trimbos Institute, all in the Netherlands. Principal investigators are Prof. Dr. J. Ormel (University Medical Center Groningen) and Prof. Dr. F.C. Verhulst (Erasmus University Medical Center). TRAILS has been financially supported by various grants from the Netherlands Organization for Scientific Research NWO (Medical Research Council program grant GB-MW 940-38-011; ZonMW Brainpower grant 100-001-004; ZonMw Risk Behavior and Dependence grants 60-60600-98-018 and 60-60600-97-118; ZonMw Culture and Health grant 261-98-710; Social Sciences Council medium-sized investment grants GB-MaGW 480-01-006 and GB-MaGW 480-07-001; Social Sciences Council project grants GB-MaGW 457-03-018, GB-MaGW 452-04-314, an GB-MaGW 452-06-004; NWO large-sized investment grant 175.010.2003.005); the Sophia Foundation for Medical Research (projects 301 and 393), the Dutch Ministry of Justice (WODC), and the participating universities. We are grateful to all adolescents, their parents and teachers who participated in this research and to everyone who worked on this project and made it possible.